Give your visitors a great reason to get in touch with you on every page, no matter where they land on your website. Beef up your income by allowing visitors to book meetings on your website 24/7. Land new bookings even when you sleep! Motivate prospects to share their key pain points and questions with a clever online form that builds instant trust. Grab your visitors’ attention with targeted calls-to-action that win clicks & drive revenue. Invite clients to register to your workshop, schedule a free consult or even share a document with you from any page on your website. Get instantly notified of every new lead & easily take action! Receive an instant text message whenever a prospect gets in touch with your business. Easily confirm bookings, respond to inquiries and send additional information in seconds – from any device. Double the amount of leads your website generates, starting today! 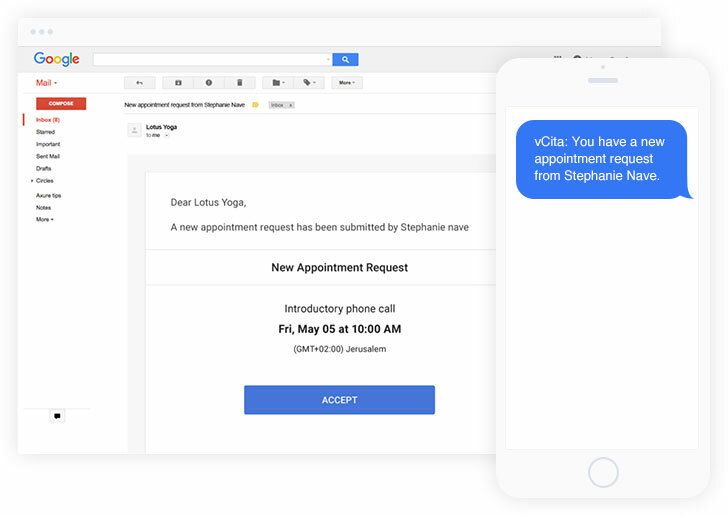 No more back-and-forth with clients. Allow visitors to book meetings on your site 24/7, regardless of office hours or staff availability. 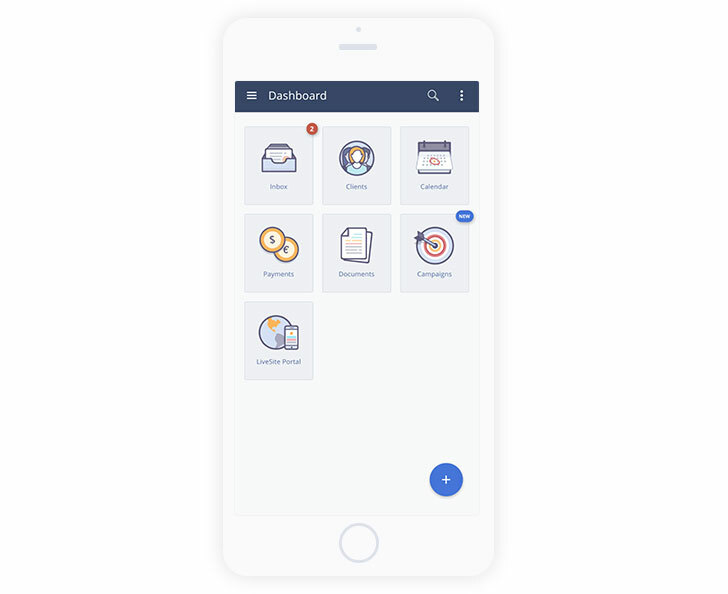 Our built-in notification feature will send your clients SMS/Email meeting reminders, reducing no-shows and last minute cancellations. Did we mention our mobile app? Whether you’re in the office or on the go, our mobile app guarantees you’ll have instant access to all prospect/client communication & your business calendar. Easily view and edit your notes, records and documents 24/7, 365 days. My experience my Vcita deserves more stars than Google review allows. Their customer service was available, professional, and helpful. The system is effective and smooth, perfect for my small business needs. I recently installed vCita software on our website to generate leads and increase conversion of sales. I am pleased that it has exceeded beyond expectations. The plugin also gives opportunity for prospects to schedule appointment, pay online, etc. Prior to vCita, I spent half my time leaving voice mails, or sending emails back and forth simply for the purpose of making a phone call. vCita flawlessly allows people to schedule at a time that is convenient to both of us. All the tools you need to manage your clients. 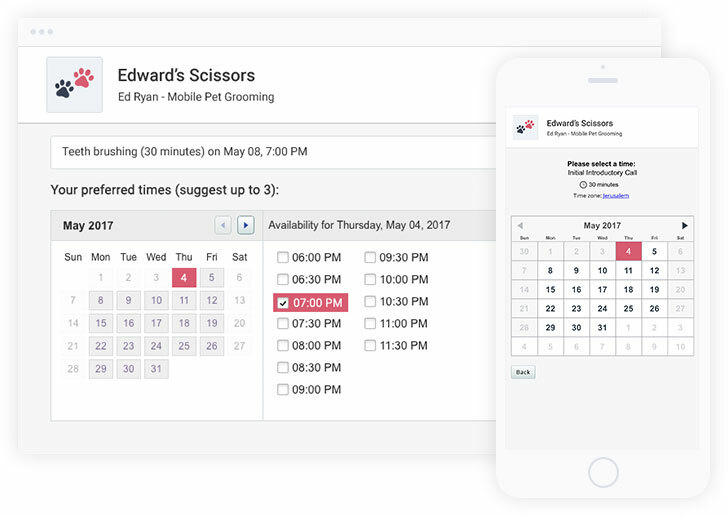 Manage an online calendar and let clients book appointments & services. Handle your billing & invoicing like a pro and accept payments online. Empower clients to self-serve online 24/7 through a personal client portal. Stay organized and keep your clients close, building long-lasting customer relationships. Generate more business with email campaigns & SMSMS marketing. Boost sales and double your revenue with a actionable website widget.